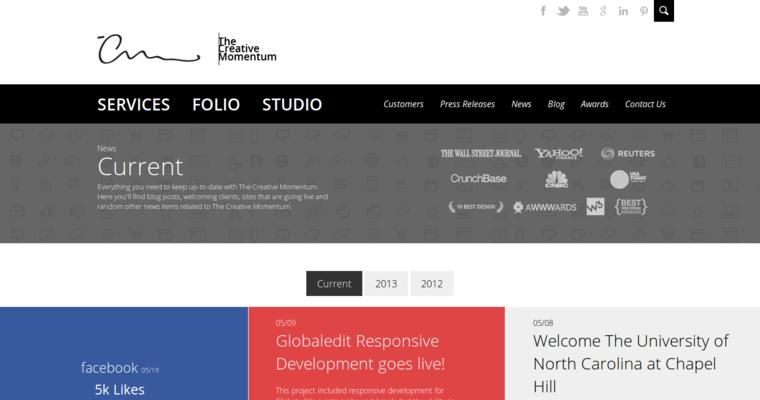 The Creative Momentum is a full-service web design firm based out of Atlanta, Georgia. 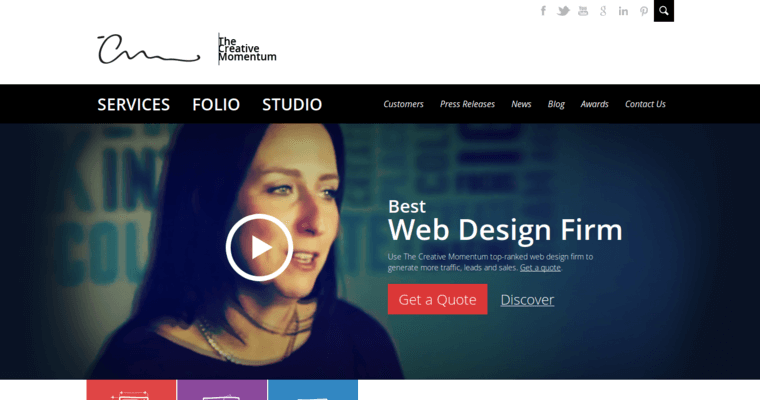 Not only does The Creative Momentum offer web design services to its clients, but it also specializes in mobile design, user interface design, branding, graphic design, and more. The Creative Momentum is known for its custom designs that stand out from the typical templates that other web design agencies generally offer. The firm is backed by a strong team of technical professionals that have loads of experience with assisting clients ranging from small businesses to corporate entities. 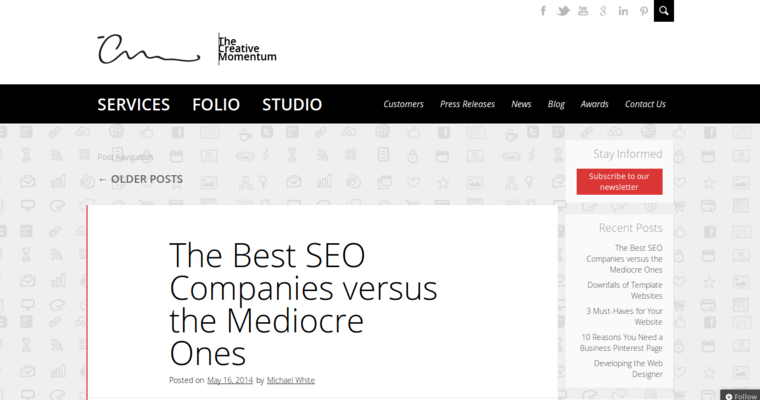 The Creative Momentum's client list is filled with successful projects and clients such as LG-MRI, B2B Movement, BlueAlly, DevJam, iQuest, and much more.